Once you build a website and want to make it available to everyone to see it, you’ll need to upload it to a web hosting. Website Hosting works by storing you files on high-powered computers that are connected to very fast networks. These computers are called servers, and while hooked on the Internet, each one is given an identifying number called an IP address, so that other computers may find them. When you type an address (i.e. 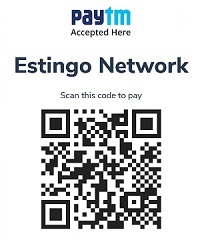 Estingo.com) the Internet connection to the server that has the IP associated with that name and the website is displayed. Your Web-hosting is the one responsible to keep your website visible on the web. This means that where you put your site is responsible (at least in part) to how your visitor’s experience your site. A good server must give you good security, reliable speed and as little downtime as possible. As technology evolves, security also must. Hackers are getting better, viruses are getting smarter and so also should your protection on your files and clients’ information. A website without reliable security is a great target for hackers and spammers. On top of it, after your site has been a victim of an attack, it can damage your reputation with the search engines, hurt your organic listing results and keep visitors away. Speed is also important for a web hosting. For example, if you are hosting your site abroad while having a company in the US, this means that to see your site your clients will have to get the information from overseas. If your client has a good Internet connection, that might not be an issue, but if this client has an average connection and your site is taking longer than most sites do for them, they are not going to wait. Besides that, studies that show a correlation between load time and sales started to show up as far back as 2007. For example, this one test demonstrated that each 100 ms increase in Amazon.com’s load time decreased sales by 1% . Estingo Network can offer you a variety of hosting options, from the affordable basic yearly hosting package to the unlimited storage hosting and the fully unlimited, which includes unlimited hosting space, bandwidth, databases and e-mails. Call us today to find out more about the right hosting package for you. How reliable is your web hosting? Our web hosting is among one of the most reliables in India. Our clients experience about 99.8% uptime. This means that 99.8% of the time, anytime you try to access your website you will not have any hosting related issue. This 0.2% time usually due to server maintenance and updates that need to restart the server. We also rely on a triple redundancy system, meaning if any sort of natural disaster were to happen on one of our Data Centers (the place that houses the server), we would still have backups in 2 different locations that could be activated in an emergency. Not every hosting company can offer that. Our Web Hosting packages are offered exclusively to our clients. We offer these in order to provide our customers with a one-stop solution for their website needs. Our servers are optimized to work with your site and have an average of 99% uptime.